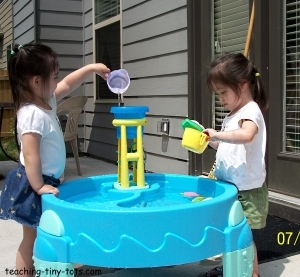 Toddler Toys: A water or sand table are perfect centers to learn about measurement, volume and other simple math concepts. 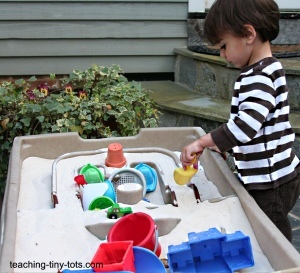 Toddler toys: Great for filling with sand, rice, water and even bubbles! 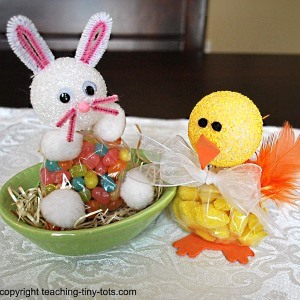 Use measuring cups, measuring spoons, funnels, water wheels and other fun toys to make this a fun learning experience. 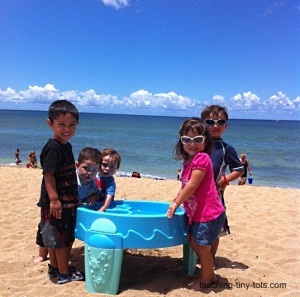 Take it to the Beach, Backyard Summer Parties, or even on the patio of a classroom. 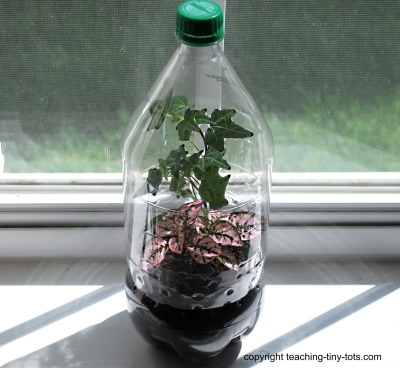 Count as your child scoops water or fills a bucket. Show how much is one cup and use language like One cup or half cup. 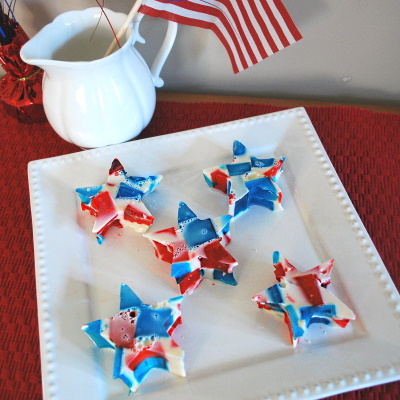 Use measuring cups, buckets and spoons to pour and fill. Compare amounts and determine which holds more. There are variations of sets so do some research online to get one you feel your child will enjoy. Consider height, size, sturdiness and what depth you want for the water, sand or both when selecting your table. If you plan to leave it out in the open, a cover is something you might want to consider. Use lots of descriptive words when playing with your child to reinforce colors and size.